EDISON, NJ (JANUARY 2, 2019) — Saniflo USA, a division of Group SFA, the worldwide leader in macerating and grinding toilets, has appointed Lupe Serrano to the newly created position of Business Development Manager for the entire state of California. Based in Santa Ana, he reports to Chris Peterson, Western Regional Sales Manager for Saniflo USA. In his new role, effective Jan. 7, Serrano will work with Saniflo wholesaler-distributors and plumbing contractors to increase sales through plumber product trainings to help the trade better understand the various pumping solutions Saniflo offers. 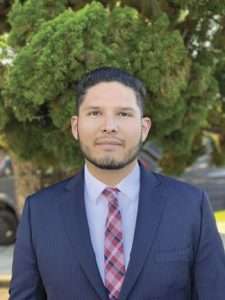 “In addition, I will identify new opportunities where the end user can benefit from Saniflo’s technology,” says Serrano, who adds that he will use his Spanish-speaking skills to better connect with Southern California’s growing Hispanic population. Saniflo North America CEO Regis Saragosti believes that California offers numerous growth opportunities in both the wholesale and retail channels, and he is confident that Serrano can implement strategies that will capitalize on that potential. SFA SANIFLO U.S.A. — whose parent company originated macerating plumbing technology — offers a complete line of waste and drainage pumping systems for residential and commercial applications. Saniflo developed its innovative, “above-floor plumbing” technology more than a half-century ago and has led its commercialization worldwide. Today, the company markets macerating technology through 22 subsidiaries in 50 countries and has sold more than six million units worldwide since 1958. Saniflo markets through independent sales agents throughout North America, and the product line is currently available at distributor and dealer locations throughout the continent. For more information, contact Saniflo at 1-800-571-8191. Or visit the Saniflo website at saniflo.com. For editorial assistance, including photography, contact John O’Reilly (john@greenhousedigitalpr.com) or Brendan O’Brien (brendan@greenhousedigitalpr.com) c/o GreenHouse Digital + PR: 815-469-9100. Lupe Serrano, newly appointed Business Development Manager for Saniflo in California. the inventor of the macerating system.